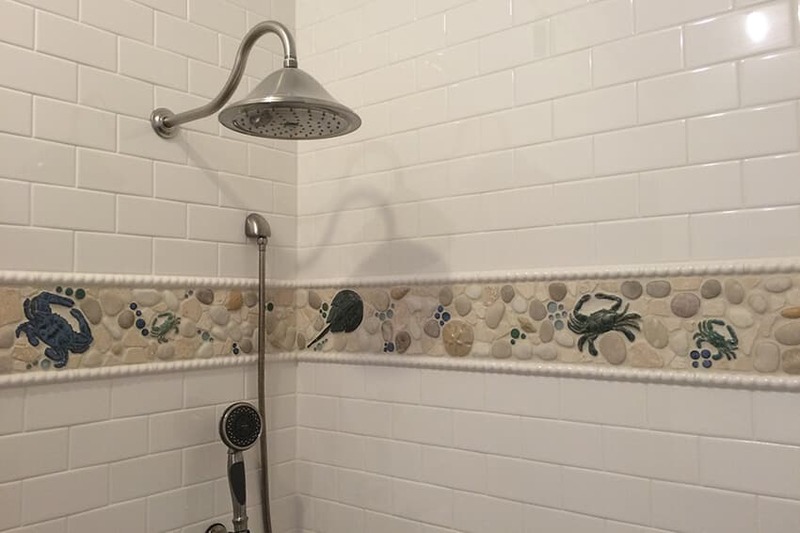 Today's POTD is an installation photo we received showing off the nautical border we created for this shower stall. Surrounded by white subway tile and a rope-style pencil liner, this border is definitely one of a kind! Made with 8" horseshoe crabs, 6" flat crabs, 6" large crabs, 3" sand dollars, and more!